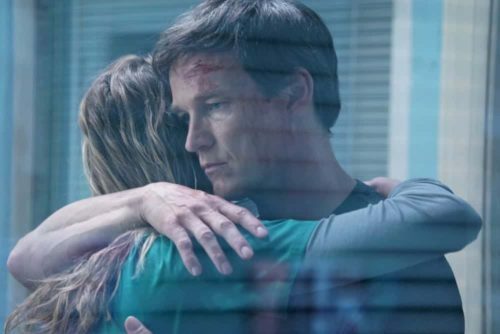 The third episode of The Gifted kept the focus on family. The family you’re born with, the family you choose, and the family you try and make for yourself. With Season 1 building the foundation for telling a “normal story” set in the world of mutants and X-Men, each character’s arc is expanding even more this season to a build a “house” on that foundation. Although at first glance the narrative of the second season seems to be moving much slower, there are a number of smaller plot lines wrapping up to set up action to come. From the horrific saga of poor Eclaris to Reeva Payge and her revolution, the show is stirring its pot, slowly simmering before getting ready to serve the first course. The core of the episode delved into developing Marcos, also known as Eclipse. Marcos’ own father forced his mother to hide her abilities and then later cast Marcos out when his powers appeared. That experience drives his quest to be a better father than his own, especially after discovering that something is wrong with his newborn daughter Dawn. Episode 2 ended with Dawn suffering from jaundice, a common but potentially dangerous illness that can happen to infants. Dawn’s illness brings Marcos into the Inner Circle, however unintentionally. Reeva, using this as an opportunity to test Andy’s loyalty to her and her cause, brings him along. Only Marcos’s intense light can heal Dawn’s jaundice (the treatment involves exposing babies to light therapy). After being led to Lorna (Polaris) by the triplets, Eclipse and Polaris share an emotional and heart-wrenching reunion while trying to save Dawn’s life. Although they struggle, Eclipse ultimately holds his daughter for the first time in a beautiful moment as both glow with light. Marcos sows some seeds of dissent in Lorna, hinting that the Inner Circle has gotten “in her head” before confronting Reeva Payge for the first time. Reeva injures him, damaging his arm after he attacks the triplets and tries to get back to his daughter. It’s the search for Dawn, as well as Dawn’s health, that makes up the emotional crux of the episode. Lorna assures Marcos that despite his father’s abandonment of him for being a mutant, he is not his father’s son and that Dawn will be loved and cared for. Despite that, Reeva insists that Marcos can’t be a part of the Inner Circle, and whatever they’re planning, even as he agrees. It ends with a battle and Marcos swearing that he wants to hit them back. It’s ironic that in a time of unity that the mutants seem more divided than ever. With the episode ending on the idea of a revolution, fans will have to wait and see just what that looks like with so many new players in the mix. The beginning of the season saw Reed developing abilities. 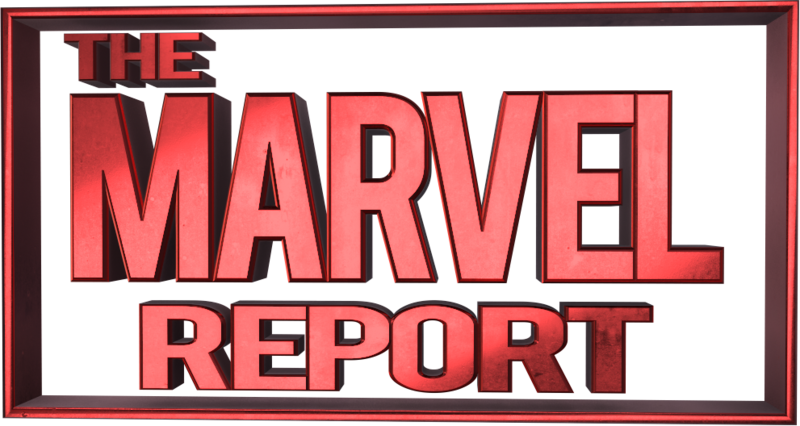 While it gives people an opportunity to explore some more real world aspects of mutant abilities, it puts Reed and Lauren in a precarious position. The Gifted has established that mutant abilities appear during high stress situations, and it doesn’t just affect teenagers like it did in the comics. The first season revealed that Reed had his abilities suppressed and that his father was the son of the famous Von Struckers. Reed’s father sought to cure any mutant abilities, and his cure was the basis for the control that Sentinel Services used to turn the mutants into hounds. Now Reed is seemingly developing powers of his own and struggling to control them. This causes an accident that makes him disintegrate the steering wheel of his car. Caitlin’s struggle to accept his abilities could be seen as a mirror to the struggle family go through in the real world to accept one another, including family members revealing their LGBTQIA identities to their loved ones. Ultimately Caitlin accepts him. This storyline also brings Coby Bell’s character Agent Turner back into the lime light. One of show-runner Matt Nix’s goals this season was to show how someone can become involved with a hate group like the “Purifiers,” who’s role is being built up throughout the first three episodes. Agent Turner struggles with isolation and anger from being unable to catch the so-called criminals he can’t find, reliving the grief of his daughter’s death, and now being disgraced from his fellow law enforcement officers. Unfortunately, the only place for the character to go seems to be to fall further into hate for mutant-kind, making him a perfect recruit for the Purifiers. After being told that Erg would be able to help them with their quest to stop the Inner Circle, Thunderbird and Blink travel underground to find him. It’s not easy but after being caught in a “maze” made in their minds, Blink makes a connection with Erg who is disillusioned with the X-Men’s message. Calling himself part of the true underground, Erg introduces the Morlock society, which is filled with mutants who are unable to pass for human. Those who are able to pass for human brand themselves and refuse to move in the world above. Erg agrees to help Blink, and only Blink, as a visible mutant. He asks her to act as his spy, his eyes and ears, presumably on both the Inner Circle and the Mutant Underground. A third player has entered the game and he seems poised to split apart the only happy ship for fans, ThunderBlink. The introduction of a third faction in the game is exciting, particularly for fans of the comics. Now that the show is getting into some of the more unusual mutant characters, it will be interesting to see just what role the Morlocks will have to play in the struggle between the Underground and the Inner Circle, and what they think of the X-Men as well. “M” Branding: Originally introduced as a means to identify mutants that belong to Bishop’s timeline, the M brand has been adopted by the Morlocks who can pass for human to differentiate themselves from human kind. It’s a nice little easter egg, and one wonders if it might be a portend of things to come? Morlocks: The Morlocks were originally created by Chris Claremont and Paul Smith. An underground group of tunnel dwellers, they represented strange and unusual mutants. Jermaine Rivers’s Shatter originally came from the Morlocks, and the Morlocks also featured the mutant Caliban who makes an appearance in Logan. The episode references Weapon X as well as a means of mutant control. Could it point to a location in the X-Men timeline for The Gifted’s story? Only time will tell. Marcos’s rattle: There’s no particular reason to acknowledge it beyond pointing out that Marcos truly cares about his daughter and that she’ll grow up very loved by both her parents no matter what the circumstances. Dawn, also known as Aurora (which is Spanish for Dawn), and her sickness arouses such a beautiful moment from Marcos and so many incredible emotions from actor Sean Teale that it brought me to tears. Did you think this episode had any coMplications? Are you curious to dig into the tunnels? Ready to start a mutant revolution? Sound off and share your thoughts in the comments below and stay tuned for next week’s episode ‘outMatched’! The Gifted airs Tuesdays at 8/7 central on Fox.